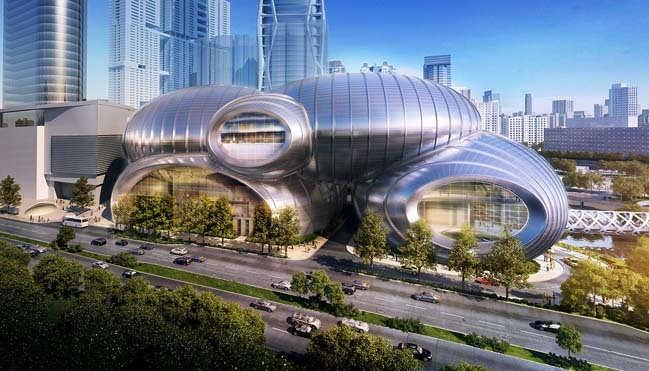 The Hebin Theater is a performing arts center which was designed by SOM to create a signature building and a unique cultural resource for the city of Guiyang, China. 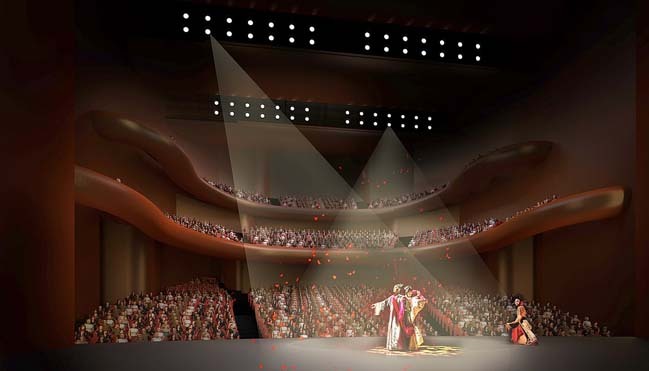 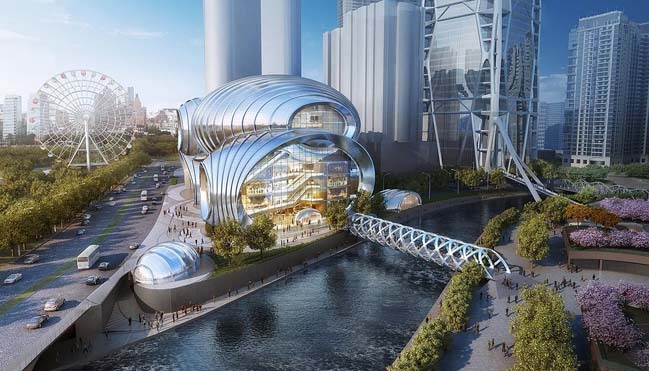 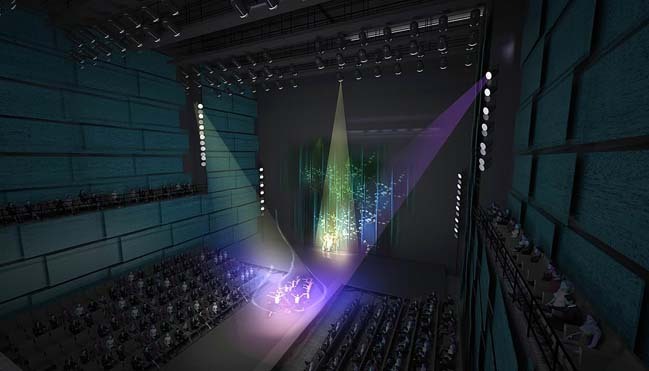 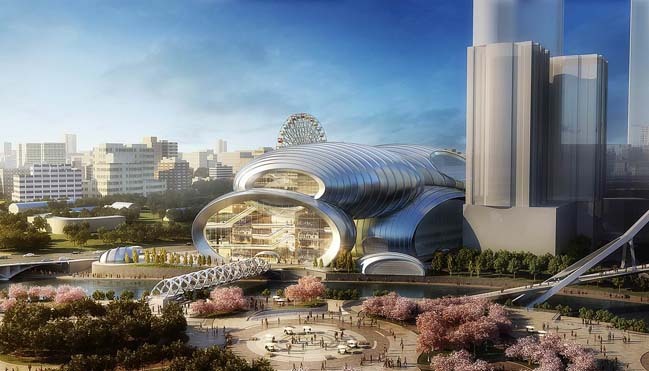 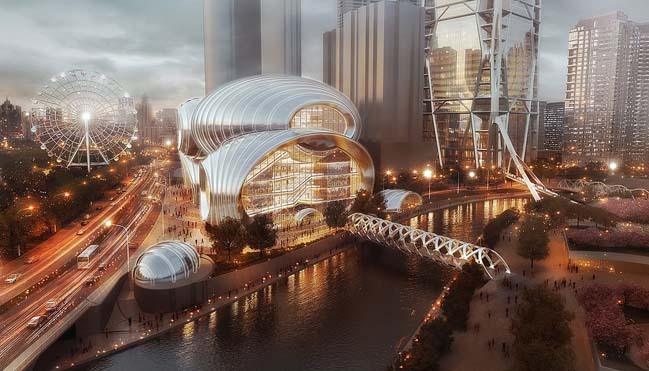 From the architects: The project located on the banks of the Nanming River in the heart of downtown Guiyang, this performing arts center anchors the Guizhou Culture Plaza development. 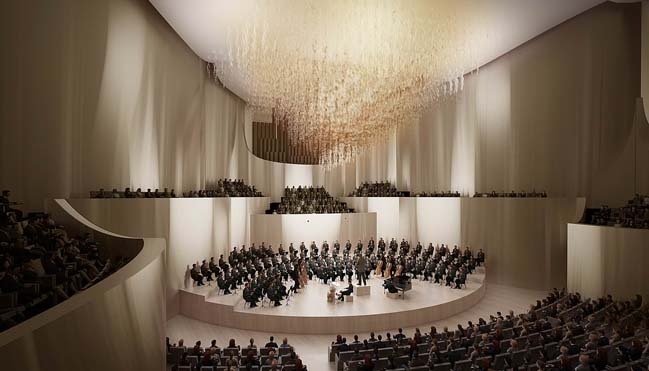 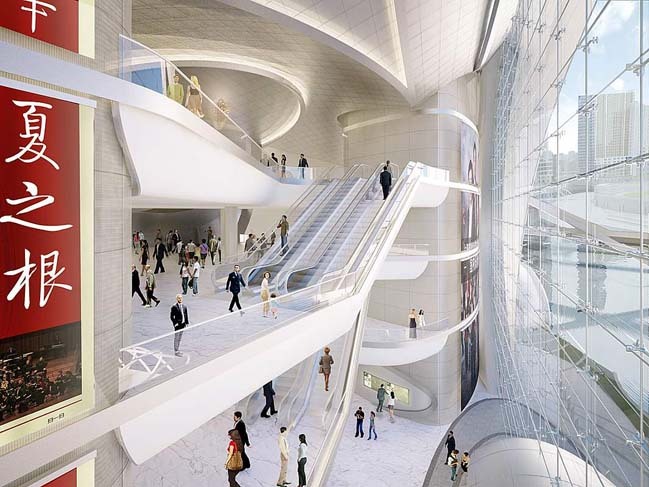 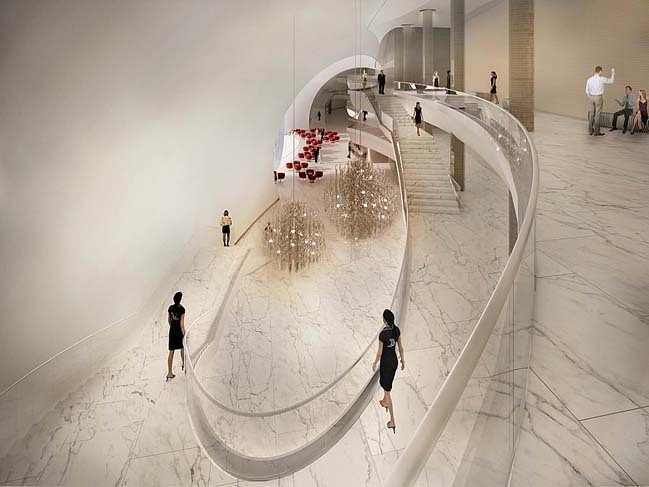 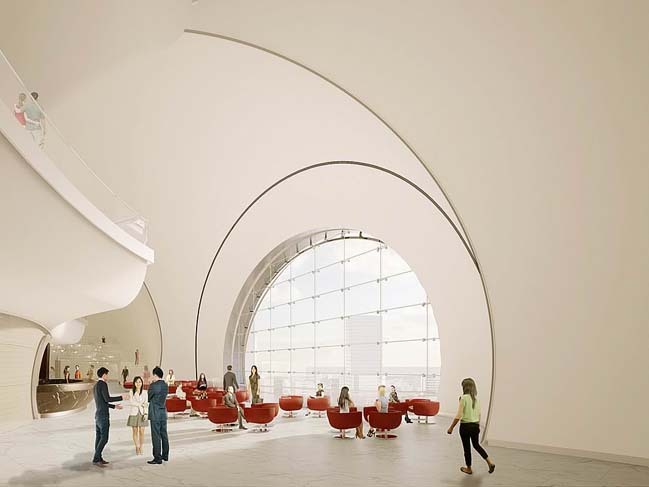 With additional connections to Zhucheng Square and the planned Metro, this multi-venue facility will attract visitors from neighboring public spaces and be conveniently accessed by public transportation.